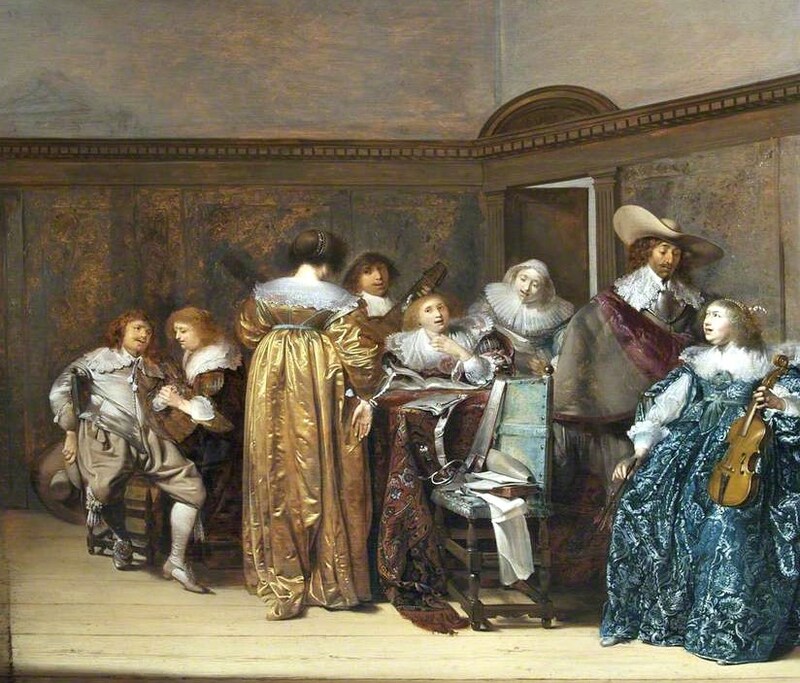 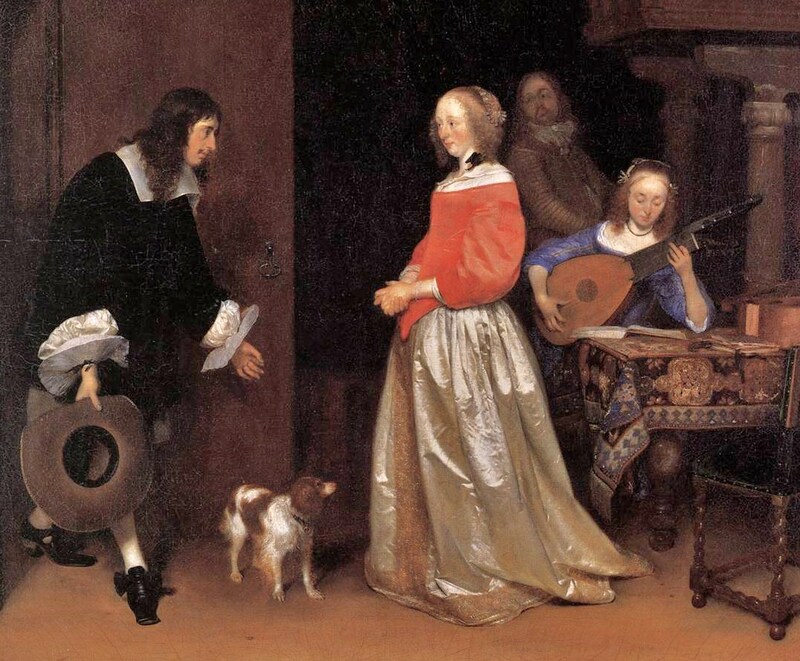 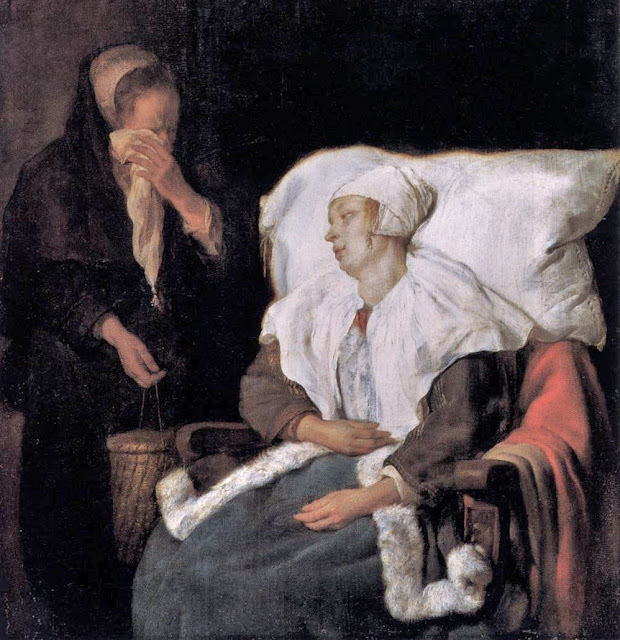 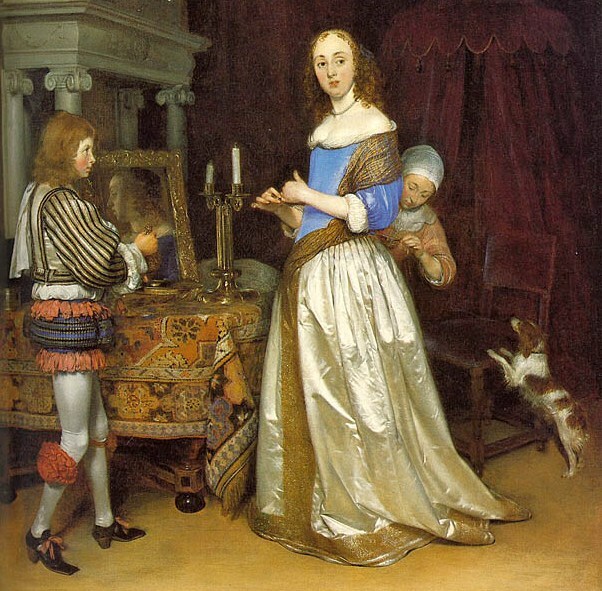 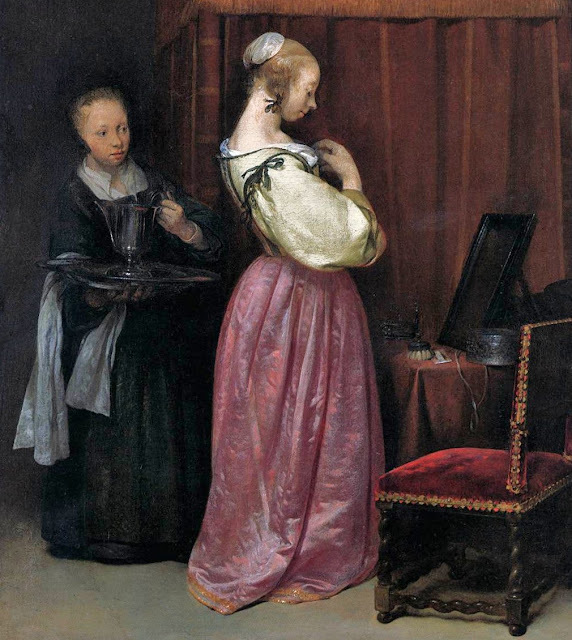 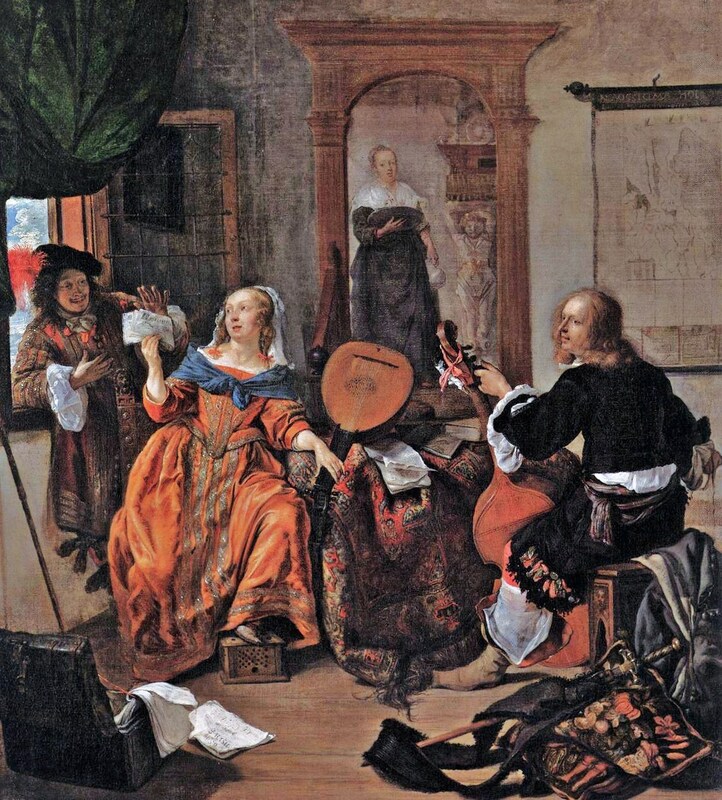 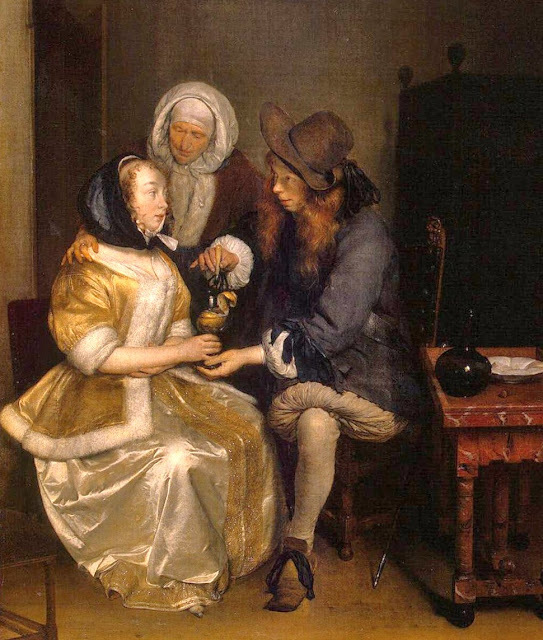 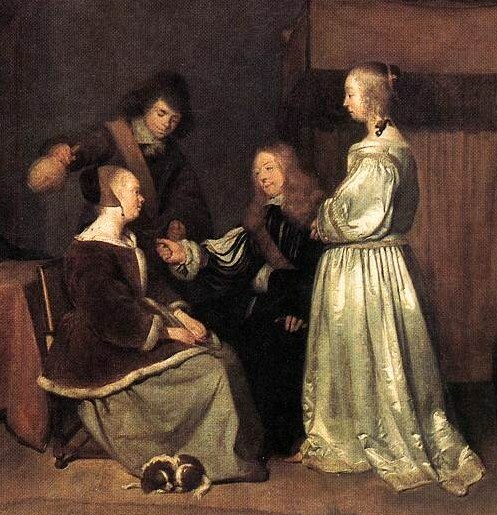 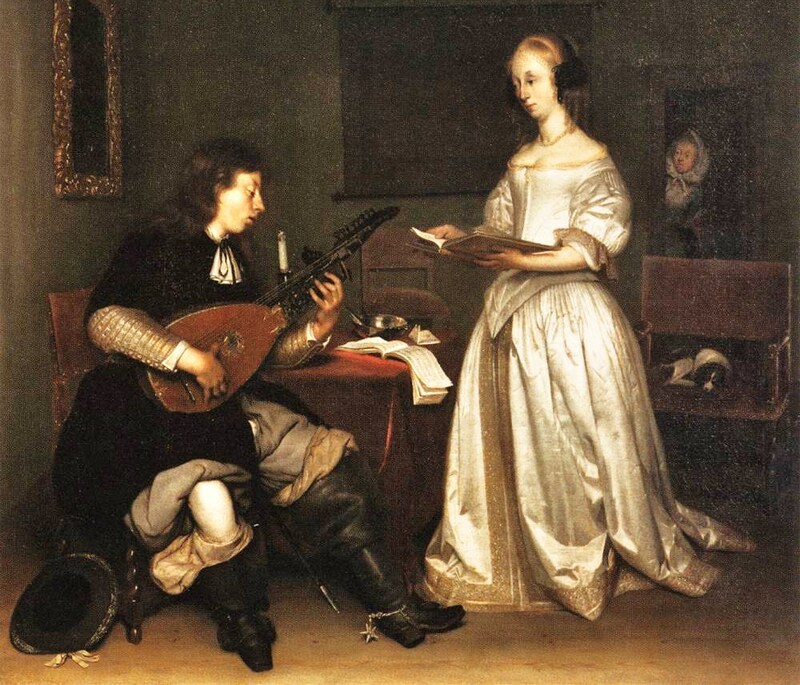 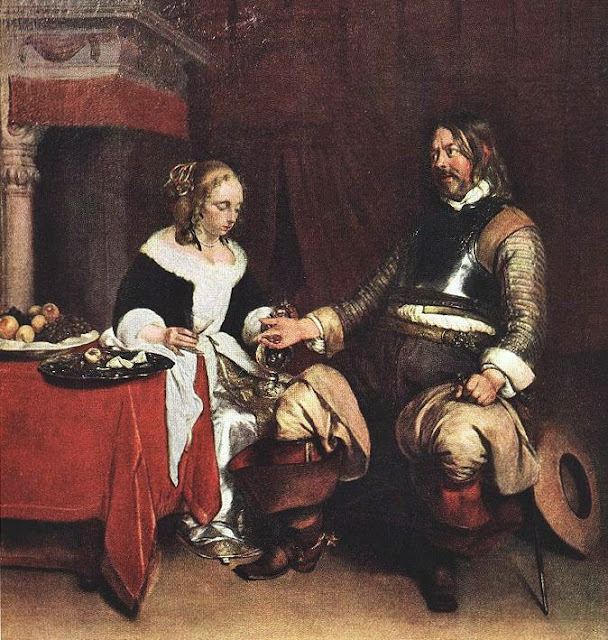 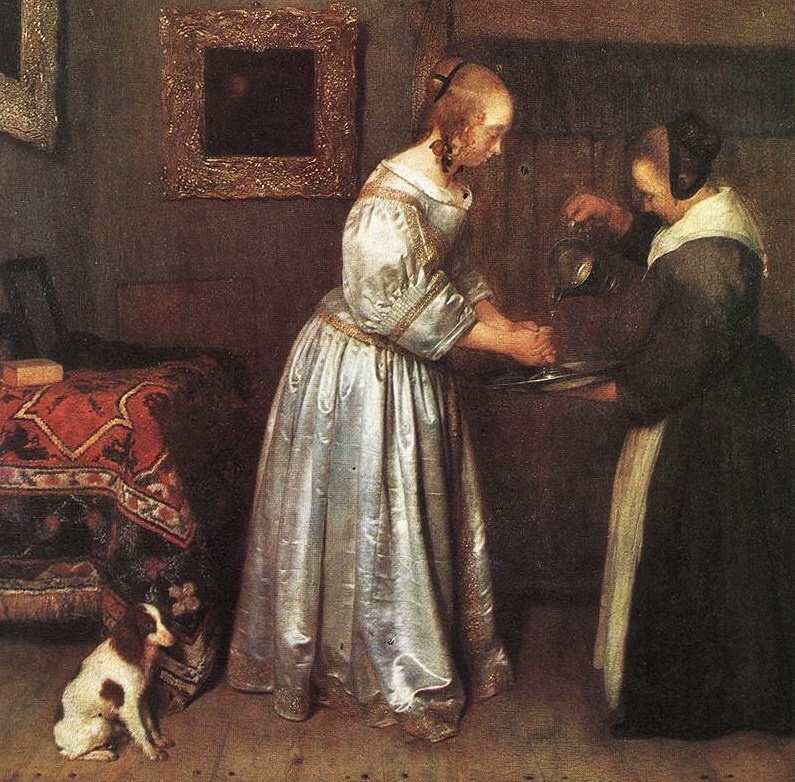 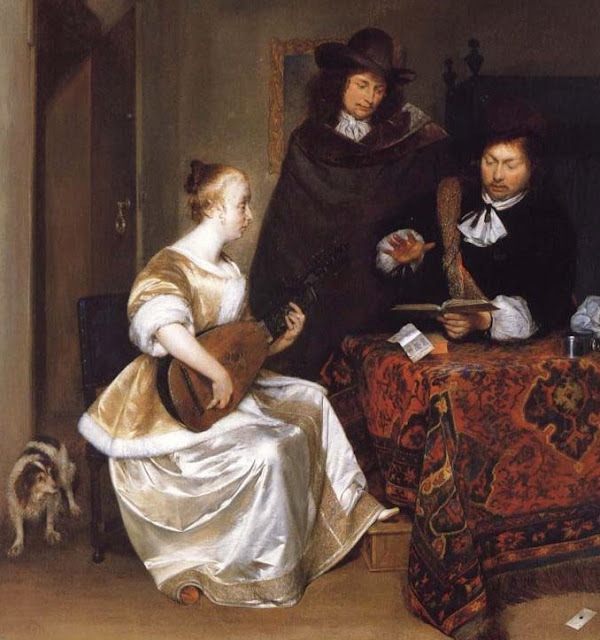 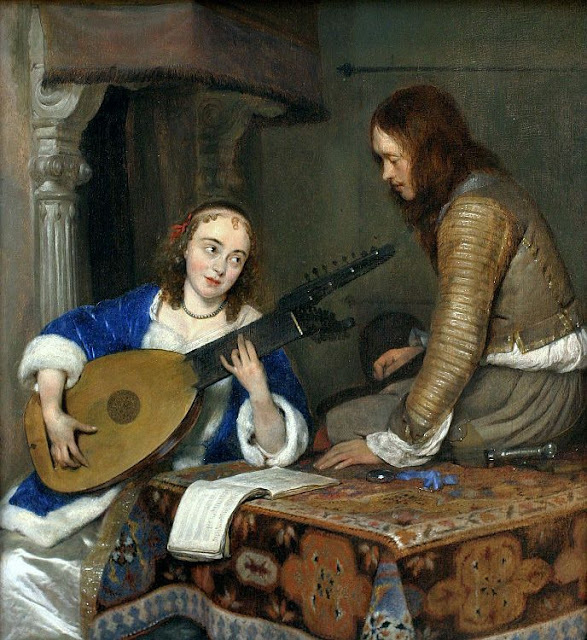 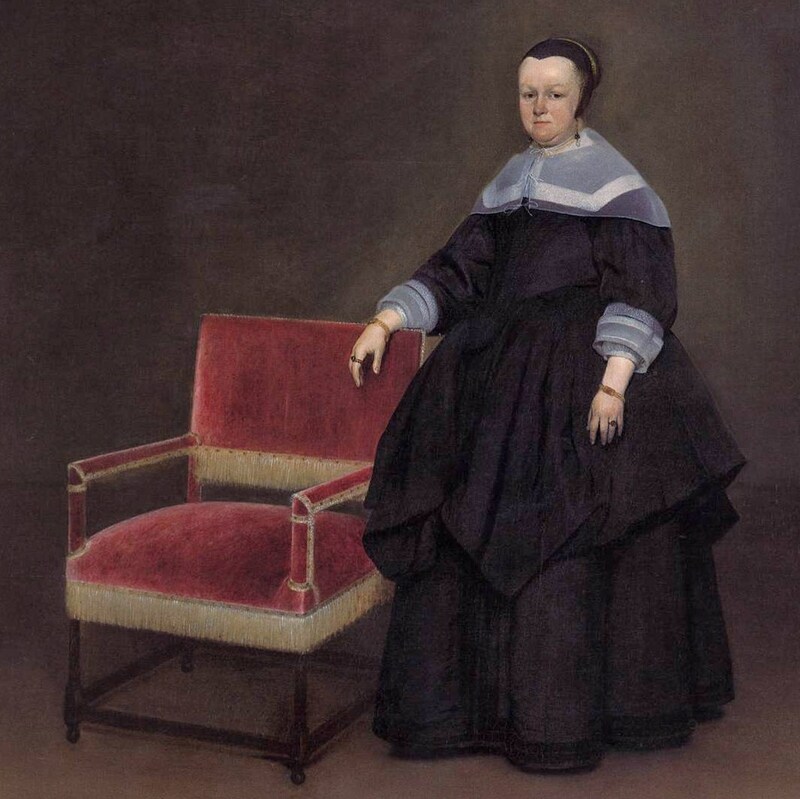 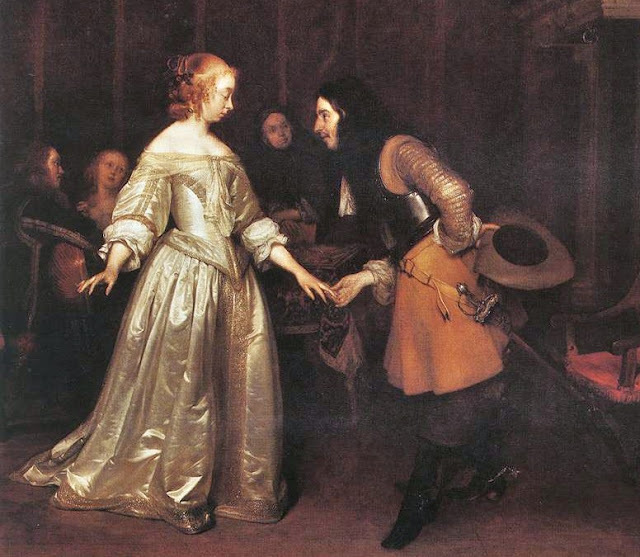 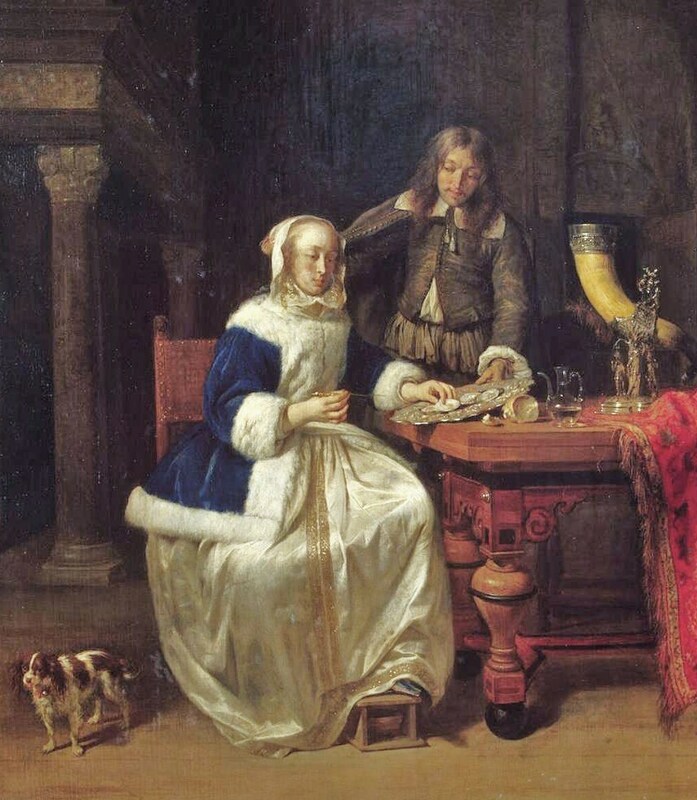 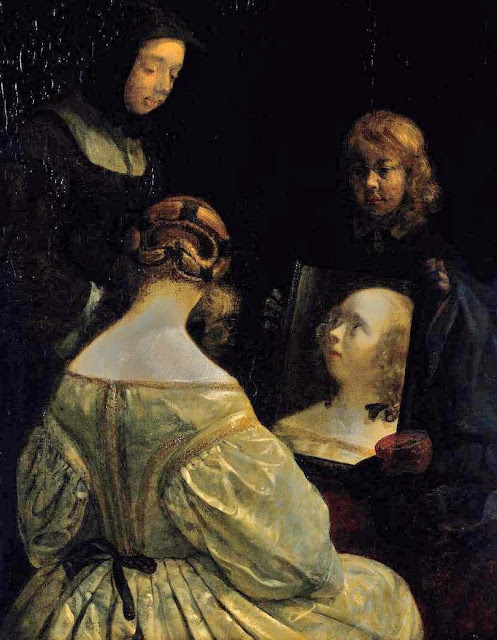 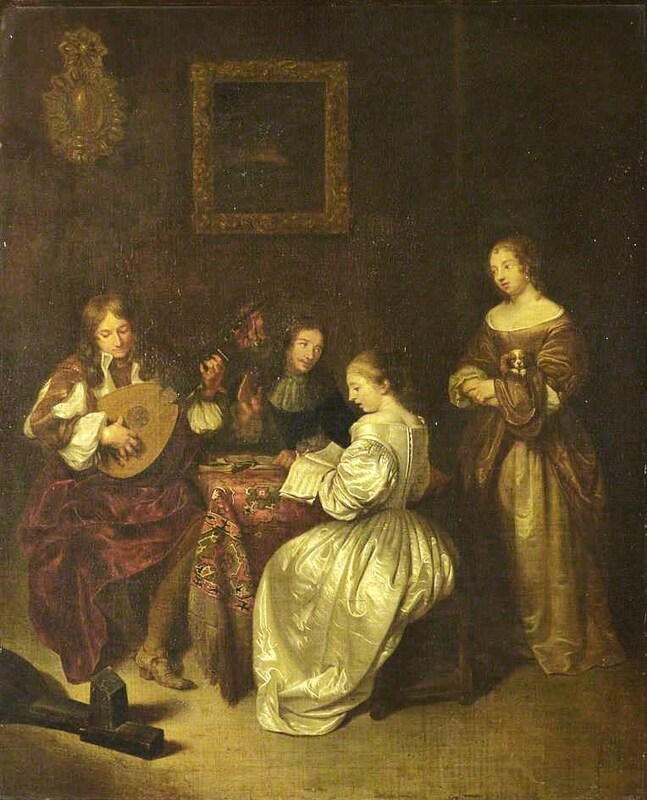 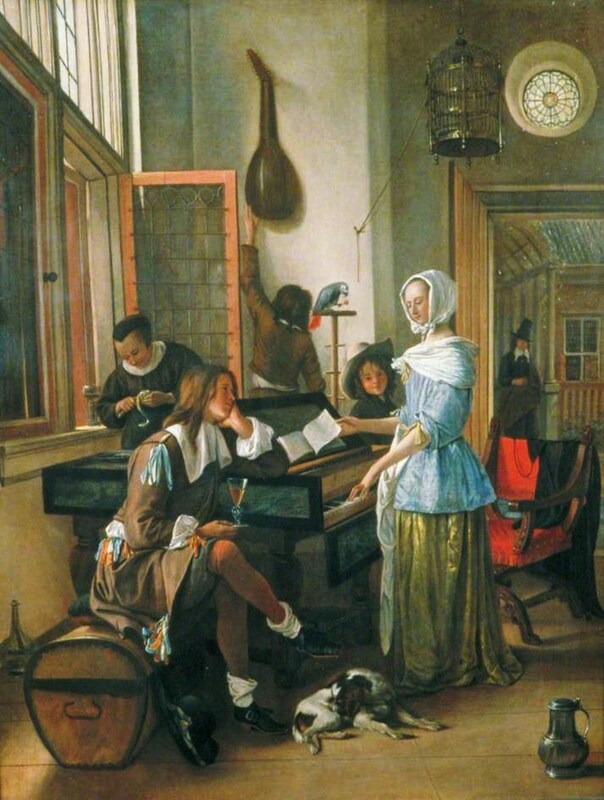 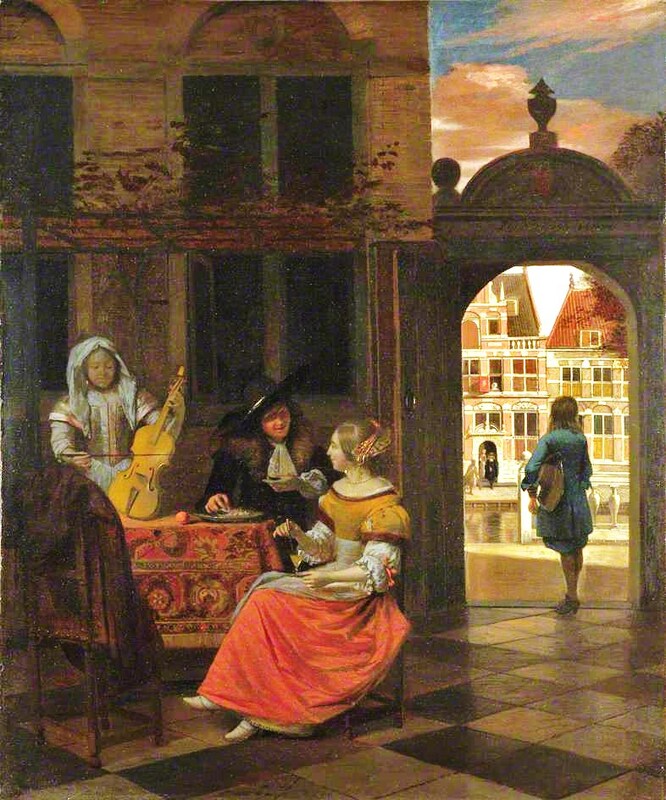 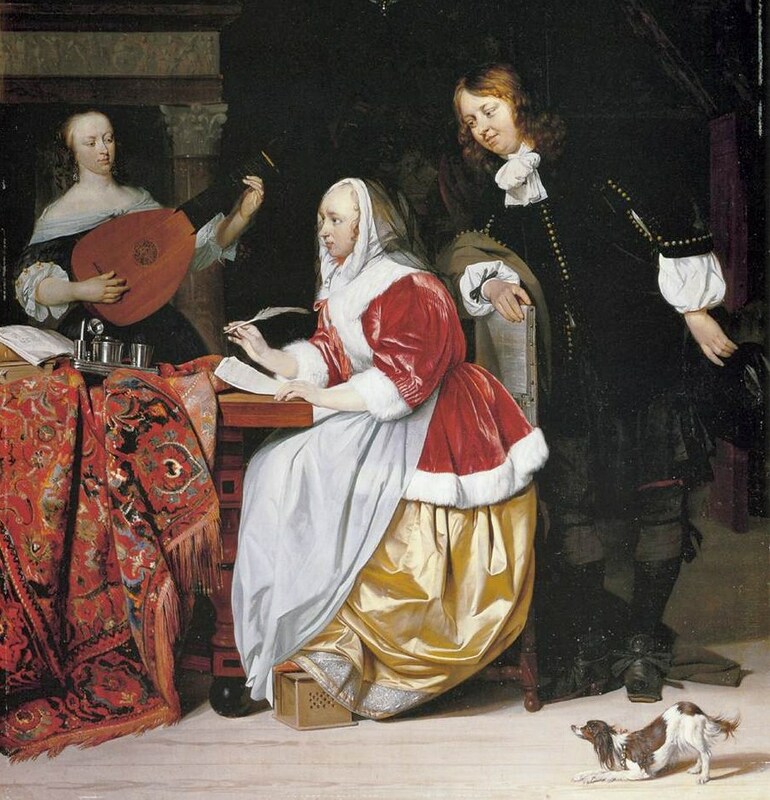 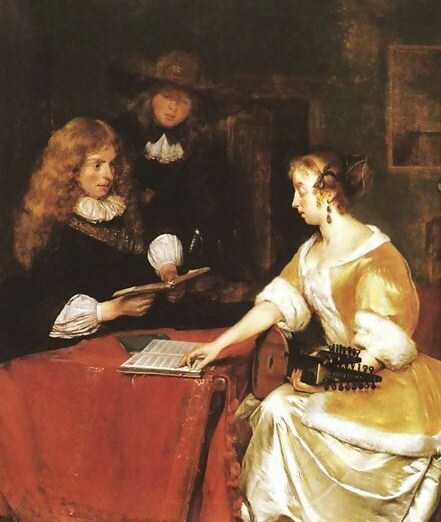 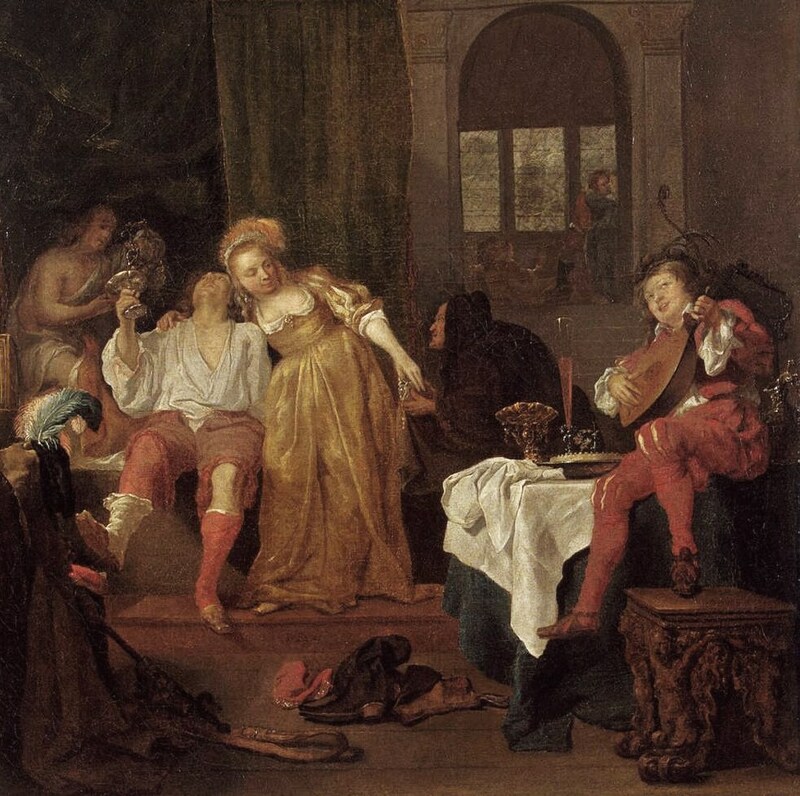 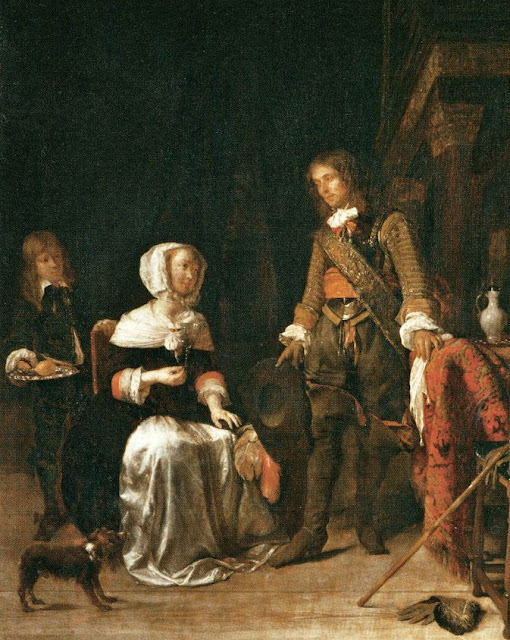 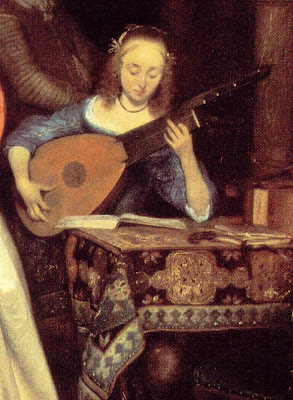 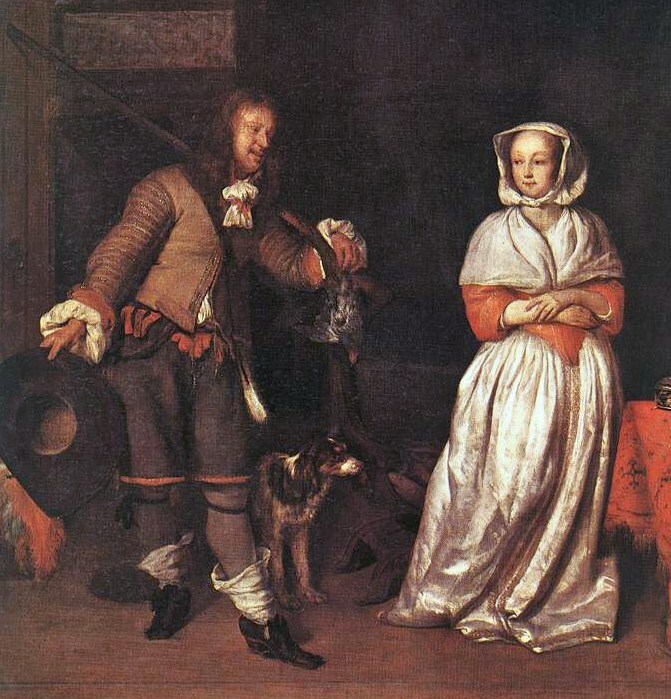 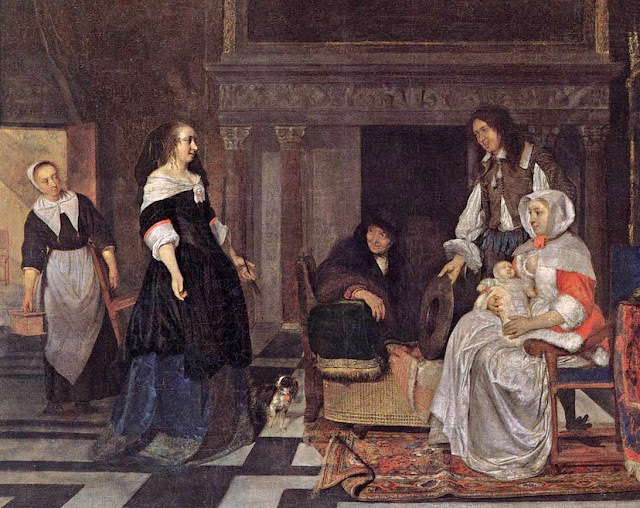 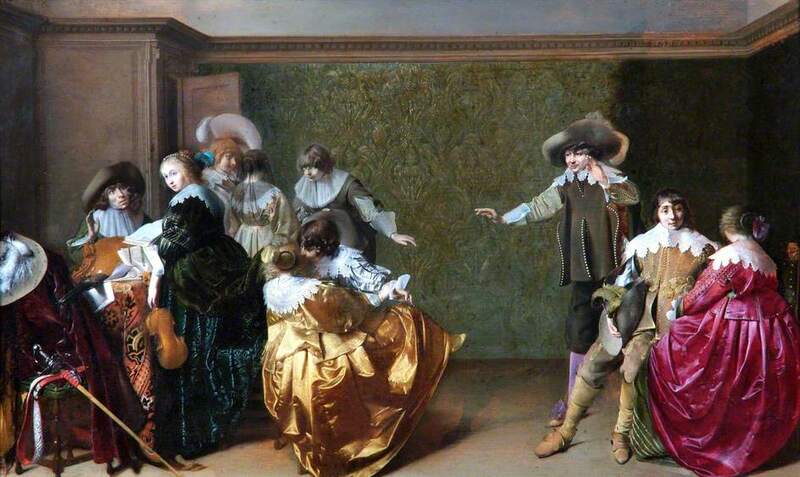 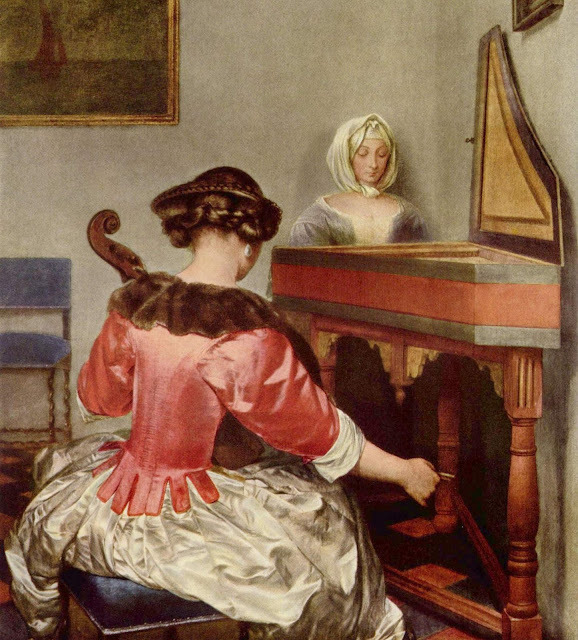 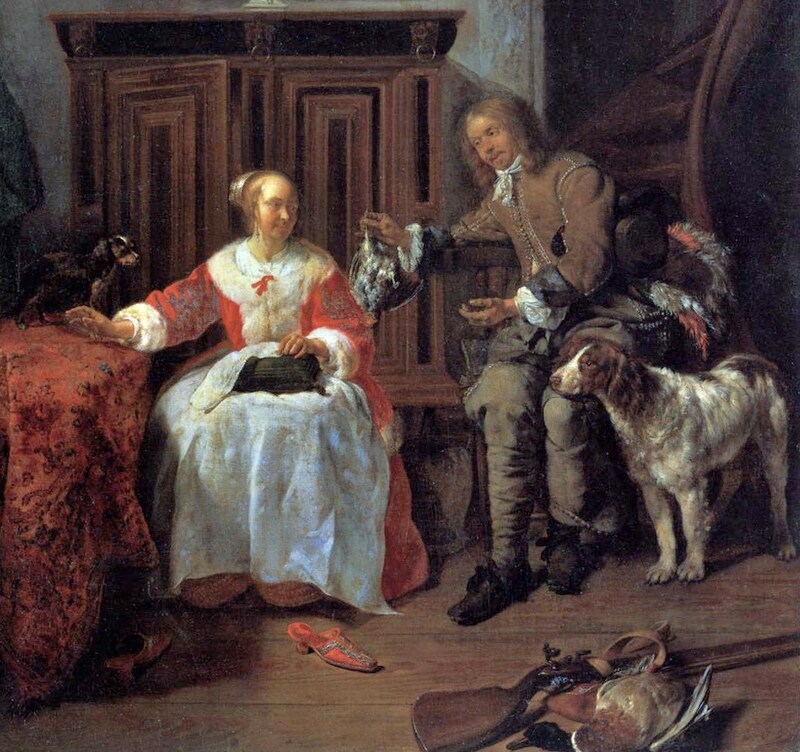 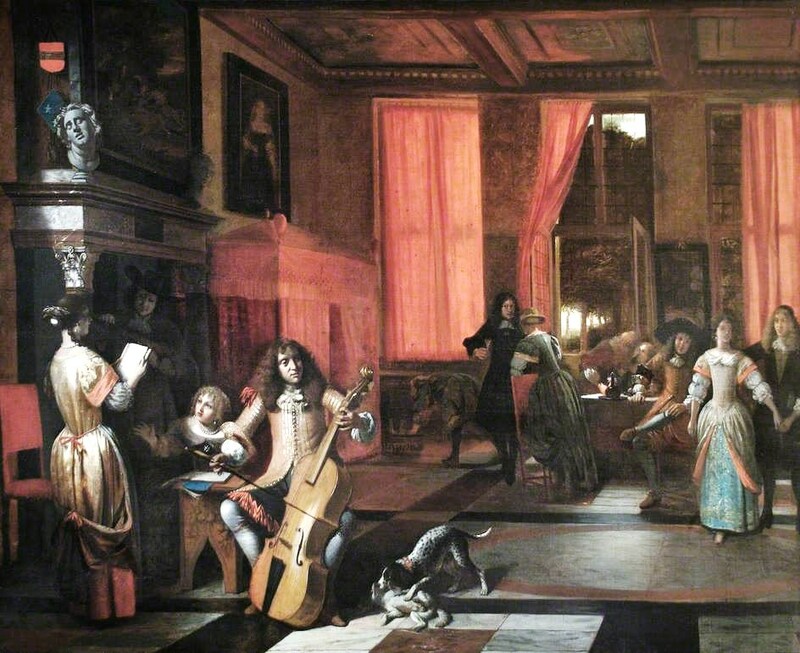 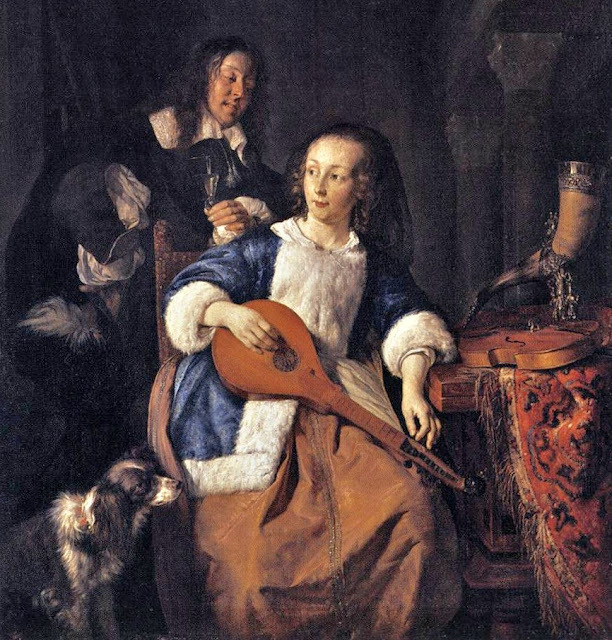 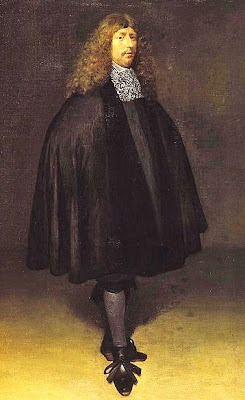 Gerard Terborch (Ter Borch) (1617-1681) was a portrait painter, who also specialized in genre paintings which represented bourgeois figures engaged in various domestic tasks or elegantly dressed figures set within luxurious interiors. 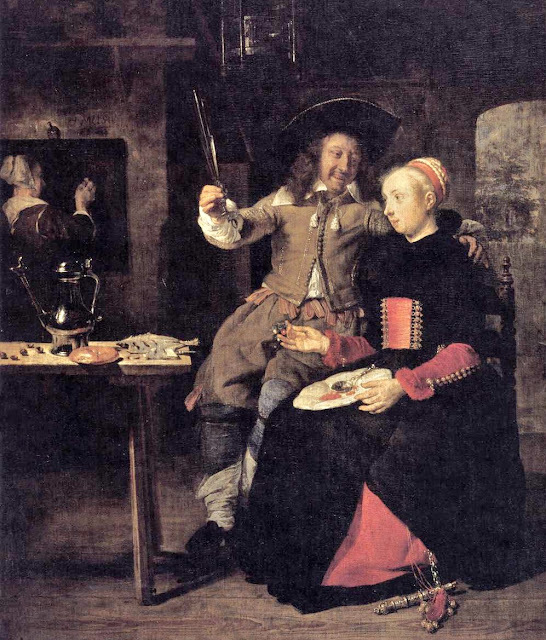 (Speaking of elegant, his self portrait is priceless!) 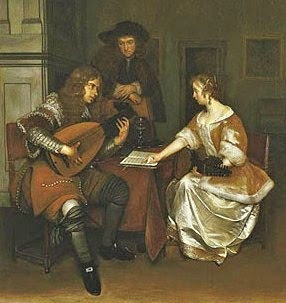 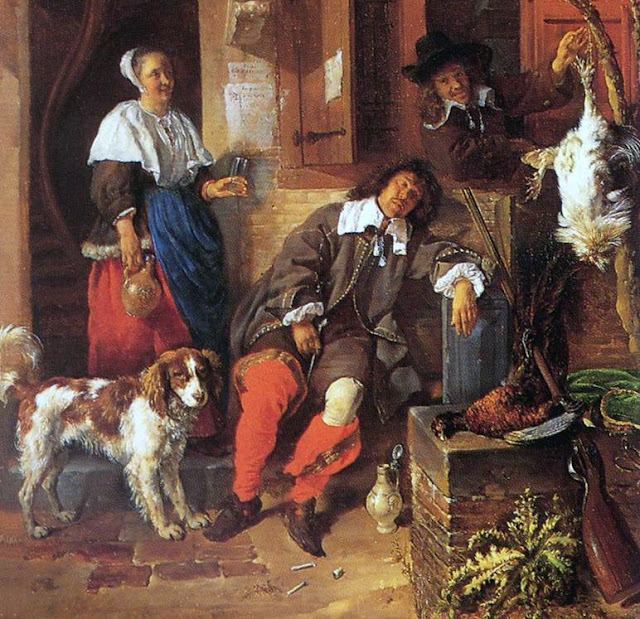 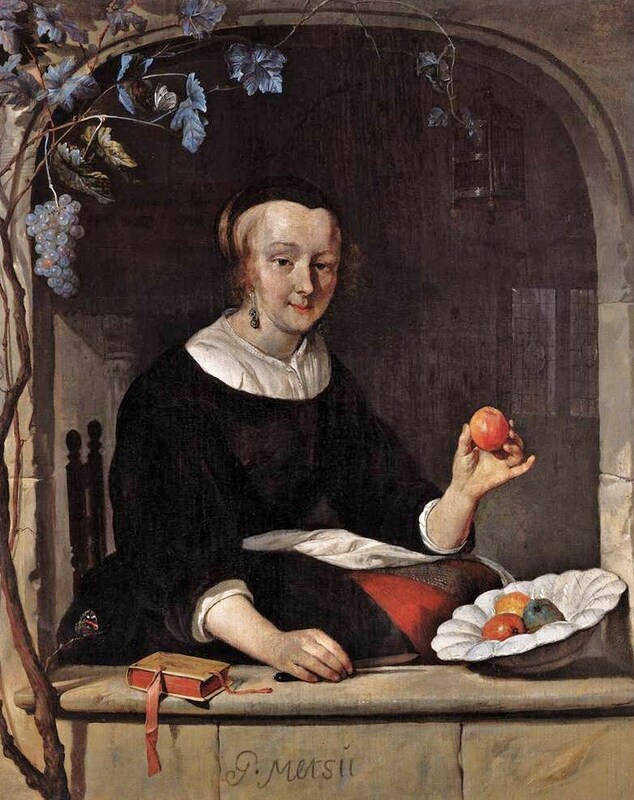 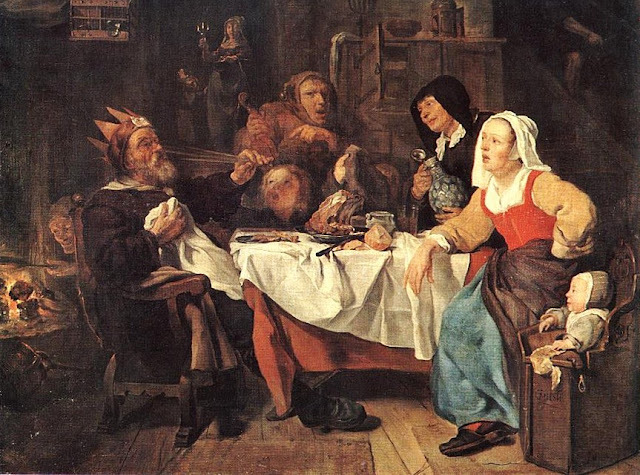 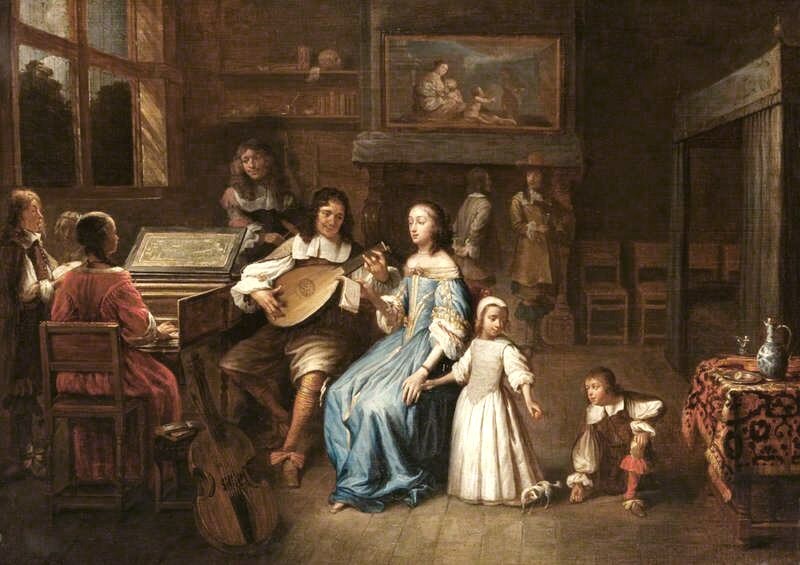 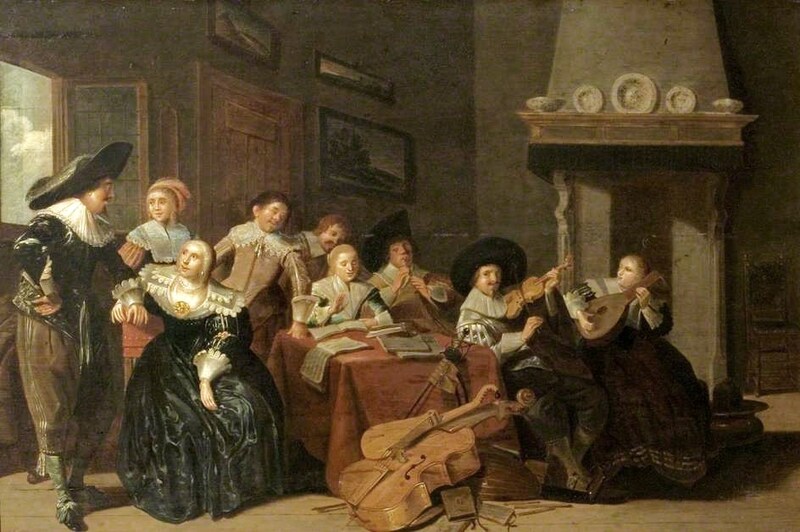 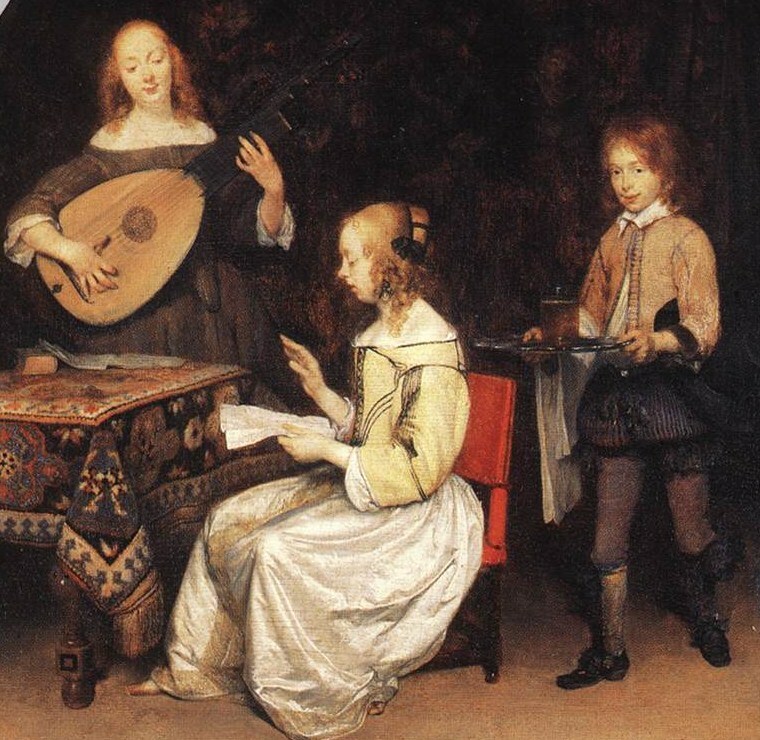 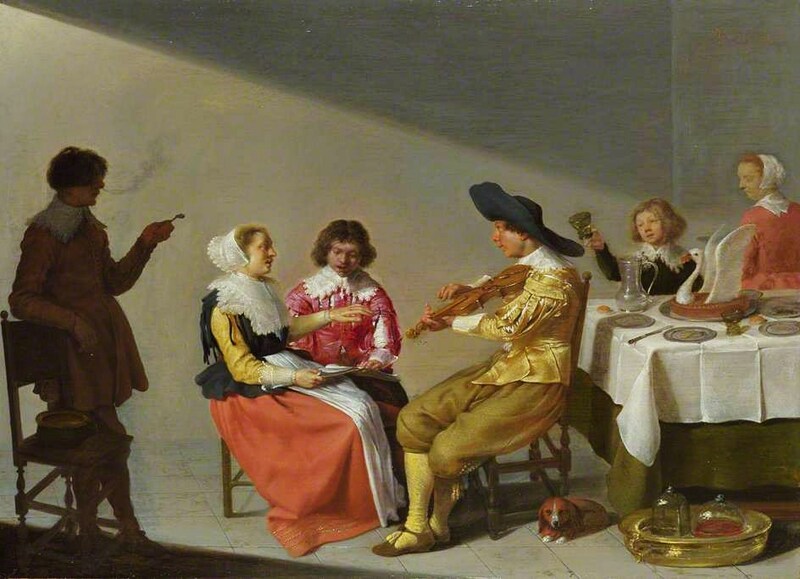 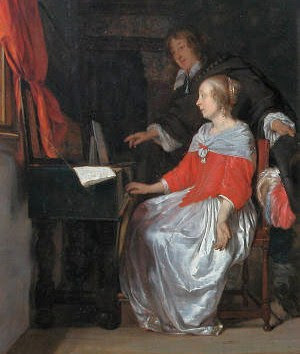 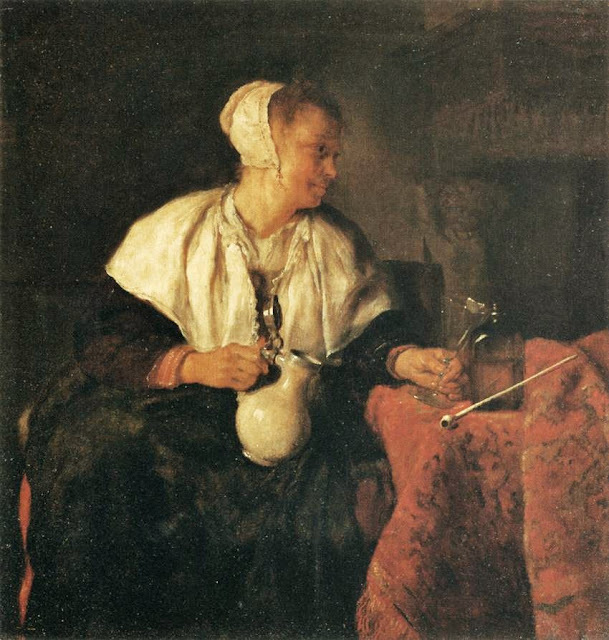 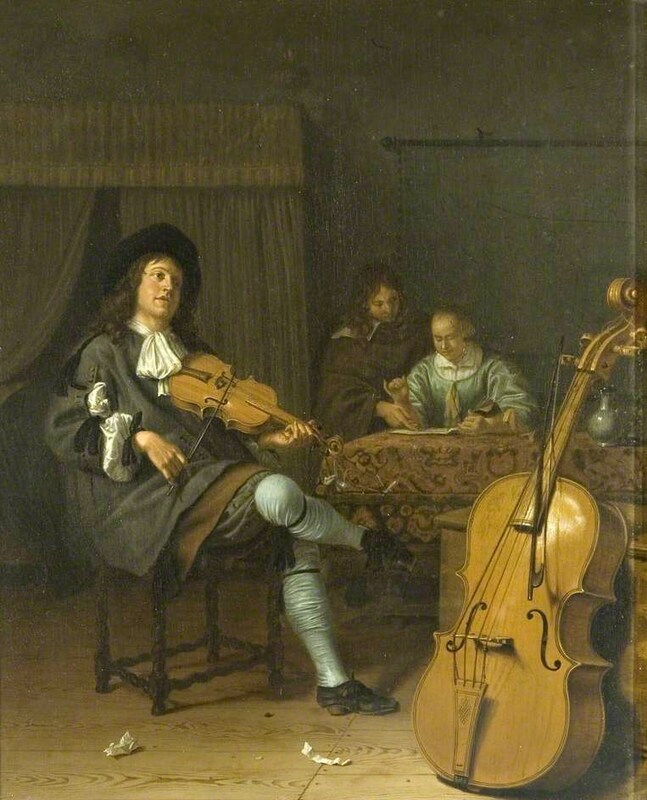 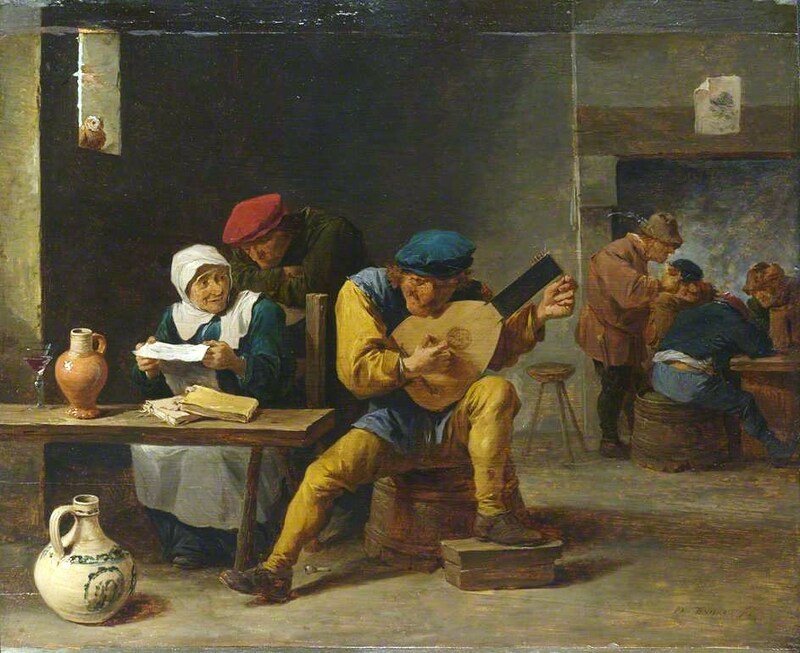 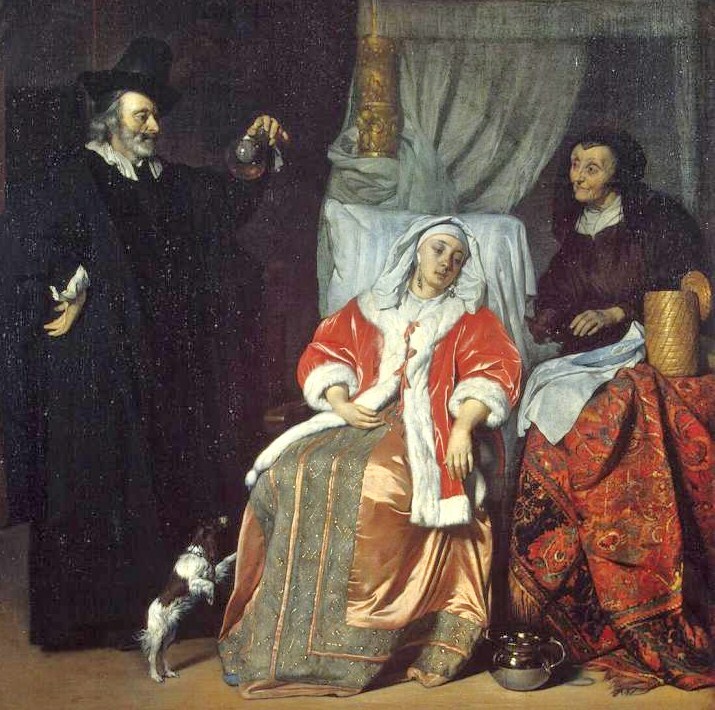 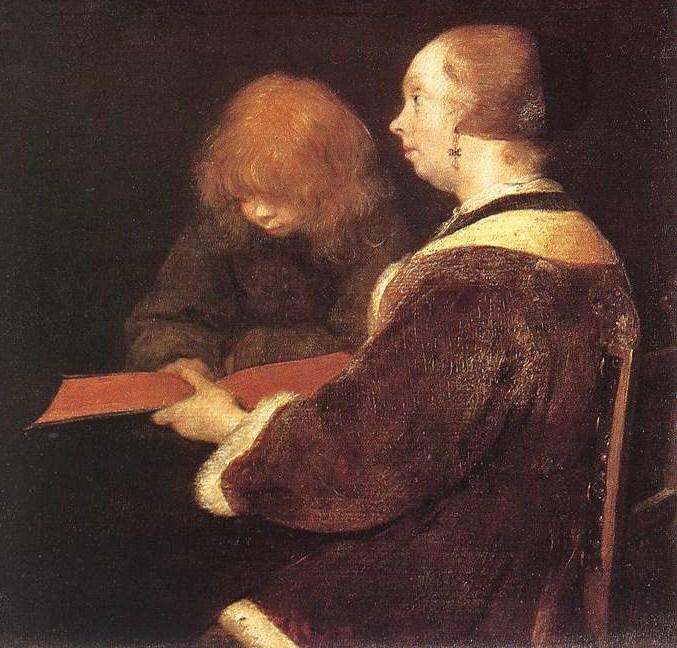 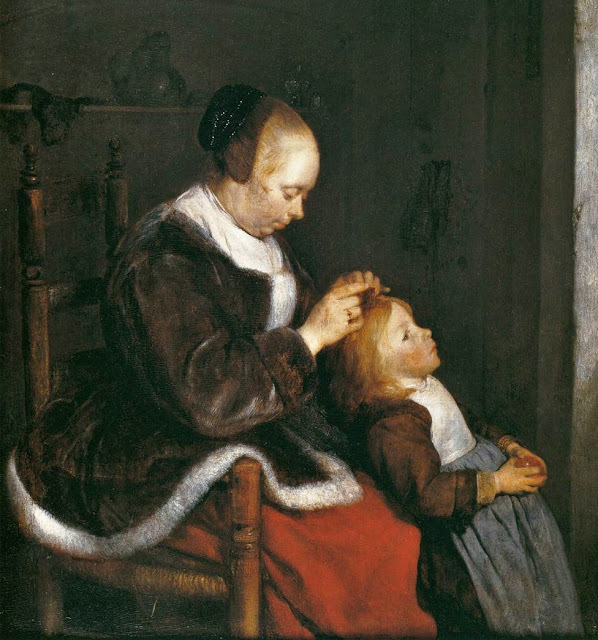 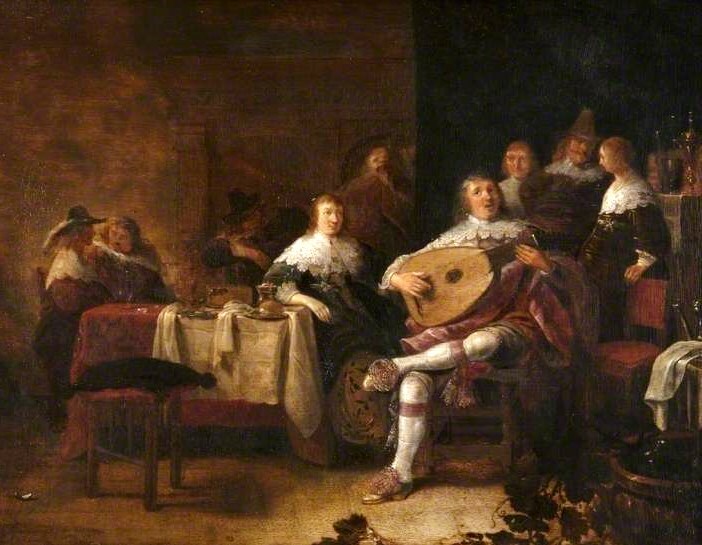 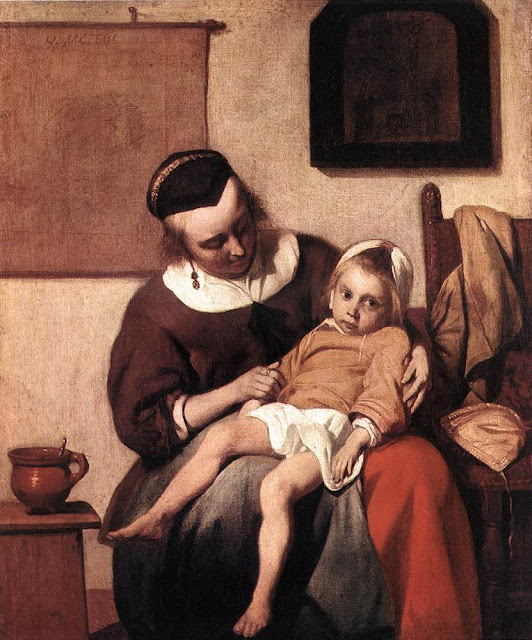 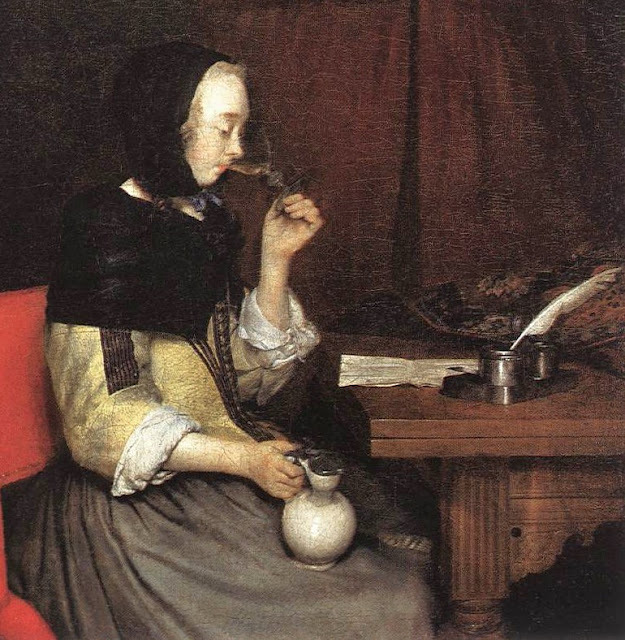 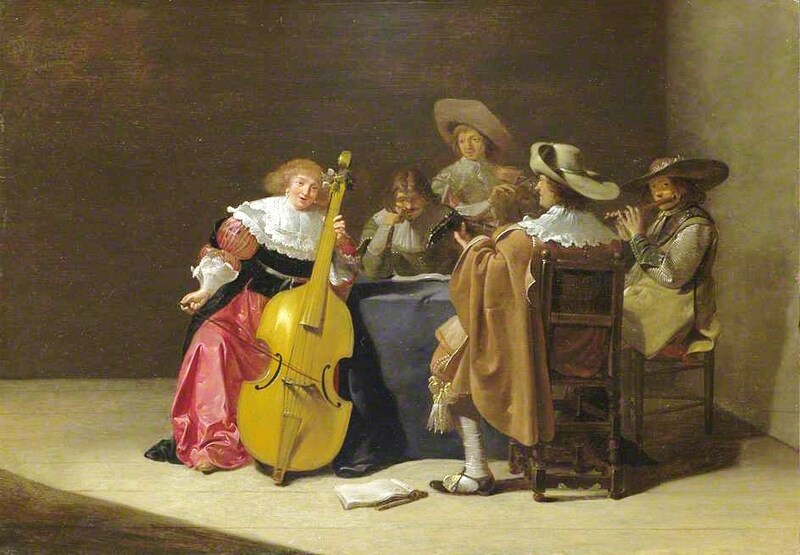 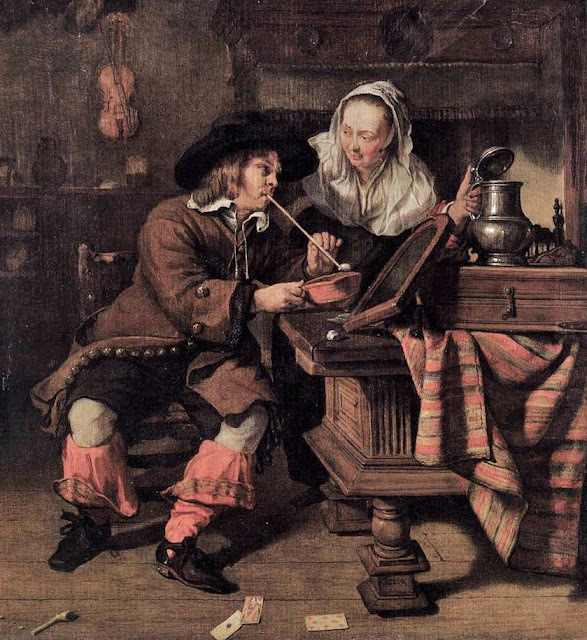 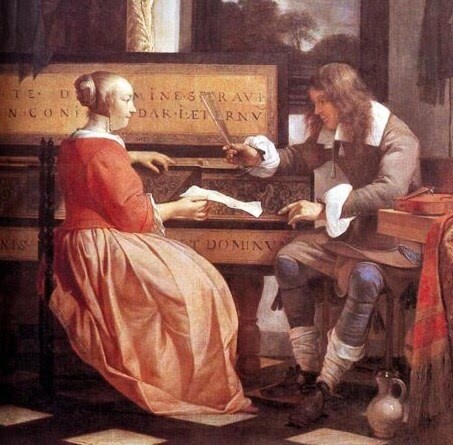 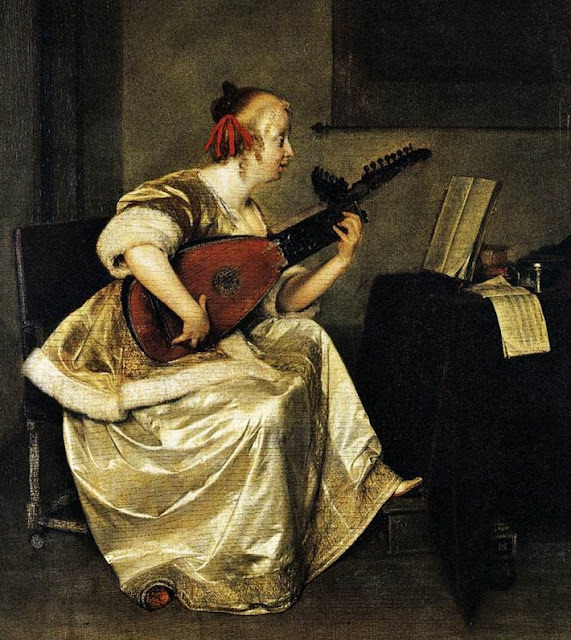 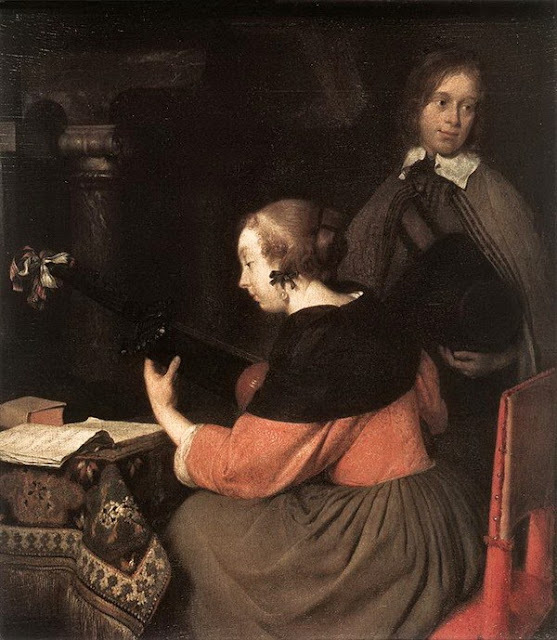 Terborch's work inspired such artists as Pieter de Hooch, Gabriël Metsu, & Caspar Netscher (1639-1684), his leading pupil. 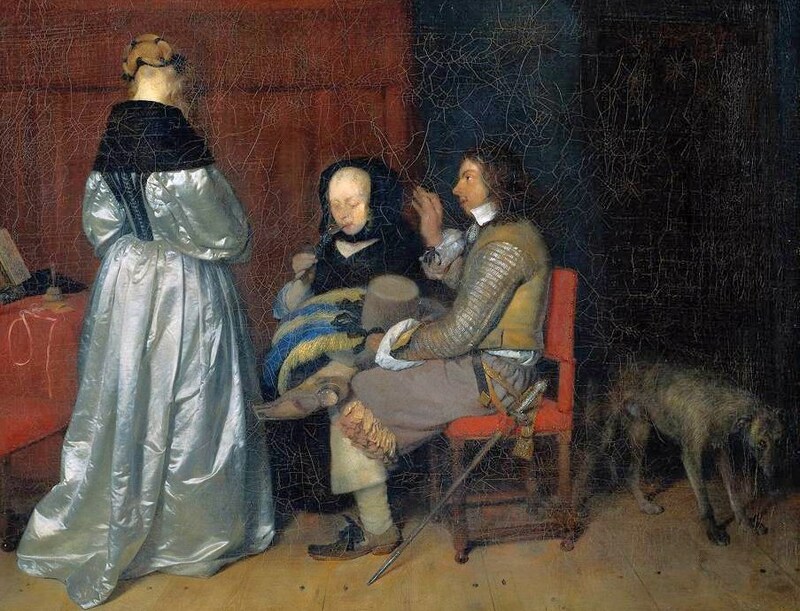 Because Terborch included details of rooms and landscapes in his paintings, most of these works are details. 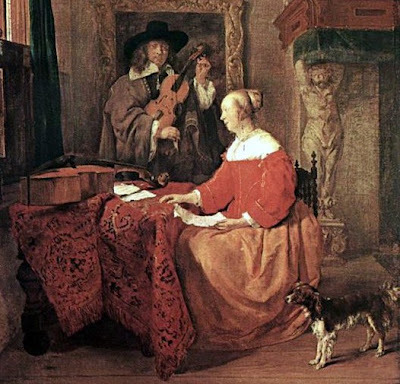 Gabriël Metsu (1629-1667) was trained as a painter in his native Leiden but spent the last part of his career in Amsterdam. 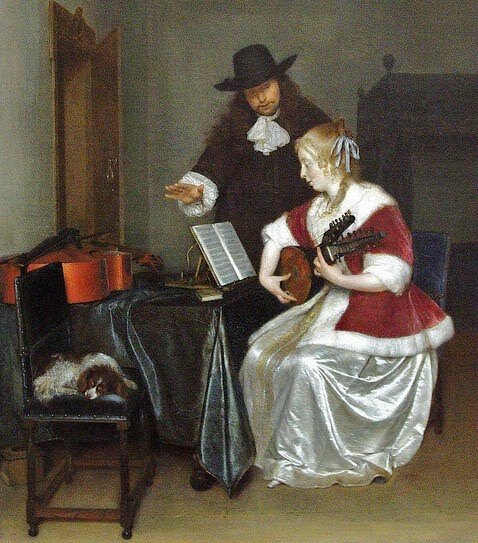 Most of his output consists of genre paintings which reproduce in a direct & simple way the life of the Dutch middle classes in the 17C. Note: Because Metsu included details of rooms and landscapes in his paintings, most of these works are details.